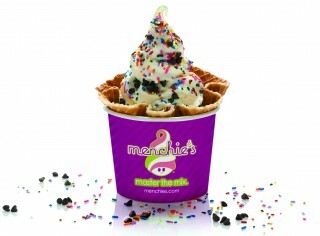 Menchie’s Frozen Yogurt opens in Nepean. With 200+ locations around the world, it was only a matter of time before the trendy self-serve fro-yo sensation and its topping stations would arrive in the capital. 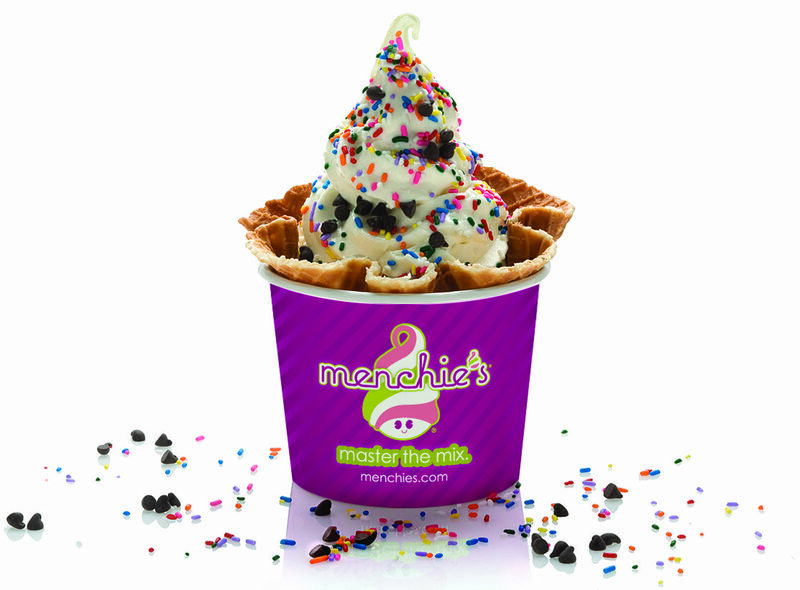 The press release captures the glamour of it all: “Nepean is becoming a little more Hollywood with the opening of Menchie’s — the frozen yogurt of the stars.” 1537 Merivale Rd. Westboro Fish House We reported a few months ago that the Westboro location of Fratelli Restaurant was relocating to 275 Richmond Rd. The owners updated the menu and decor and added a wood-fired oven for authentic pizzas. Earlier this month, the Valente brothers opened up a casual fish and seafood restaurant in the original space featuring down-home renditions of the daily catch including deep-fried cod cheeks, lobster Mac n’ Cheese, and Fisherman’s pie. 309 Richmond Rd. www.westborofishhouse.ca. Robz Bistro I’m hoping this promising new take-out sandwich joint — jam-packed and overwhelmed the day after it received a nod from the Ottawa Citizen’s food critic — will quickly catch its stride (and get some signage). The wait was nearly 30 minutes for a tender beef & cheese on a bun and stellar smoked turkey club — and well worth it. Best bet: call in your order before picking it up. 1679 Carling Ave., 613-792-1987, robzbistro.com. Bite This food truck set up shop in a brand new West-end spot and built a shelter on the front to serve customers eclectic food & attitude right up until Xmas. New menu items every day: homemade soups, fresh-baked cookies-you never know what you’re going to get. 181 Richmond Rd., 613-709-1487. 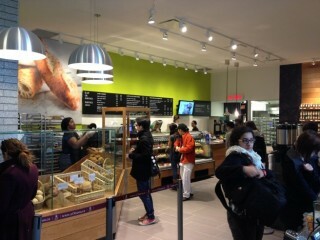 Premiere Moisson Bakery opens at University of Ottawa. Such lucky, well-fed students! With Stone Soup Foodworks and Relish already on campus, U of O becomes a triple-foodie-threat, now home to Première Moisson, Quebec’s leading artisanal bakery. Social Sciences Building, 120 University Dr., University of Ottawa. Locavore Artisan Food Fair — The winter fair was just announced: Sat., Dec. 8, 10am – 3pm at Memorial Hall, 39 Dufferin Rd. Keep an eye on the Facebook page for updates regarding vendors. Westboro Holiday Food Market Another gathering of local food vendors will take place at the Masonic Hall, 430 Churchill Ave. on Dec. 9. You can expect everything from coffee, jam, cookies and pizza to pies, hot sauce, ice cream, pork, honey and tea. Admission and parking is free. Ottawa Farmers’ Market – Four Christmas Market Days, Sundays from Nov. 25 – Dec. 16, 9 am – 3 pm at the Ernst & Young Centre (formerly the CE Centre). Admission is free. Information on parking, directions and bus routes is available at www.cecentre.ca. Metcalfe Farmers’ Market – Christmas Market, Saturday, Nov. 17 and Saturday, Dec. 8, Greely Legion, 8021 Mitch Owens Rd., www.metcalfefm.com. Carp Farmers’ Market – Christmas Market, Friday, Nov. 30 (3 pm to 8 pm) and Saturday, Dec. 1 (8 am to 2 pm) Carp Fairgrounds, 3790 Carp Road www.carpfarmersmarket.com. Cumberland Farmers’ Market – Christmas Market, Saturday, Dec. 1 (9 am to 4 pm), R.J. Kennedy Community Centre (Cumberland Arena), 1115 Dunning Rd., www.cumberlandfarmersmarket.ca. North Gower Farmers’ Market Annual Christmas Sale, Saturday, Dec.1 (9 am to 3 pm), Alfred Taylor R.A. Community Centre, 2300 Community Way, North Gower, www.ngfarmersmarket.com.